‘Tis the season to be jolly, but if you’re unfortunate, the holiday season can also mean personal injury. Every year, thousands of people end up in the hospital because of holiday-related injuries. Whether you’re putting up lights, hanging wreaths, preparing a festive meal, traveling, or just working in wintry weather, you’ll want to be a little bit more cautious and patient, as one bad step can send you to the emergency room. The attorneys at Millin & Millin, PLLC understand that sometimes accidents happen, but the best way to avoid them is to recognize what steps you can take to keep them from happening. So take into account the following holiday safety tips to ensure you and your family enjoy a safe and cheerful holiday season. 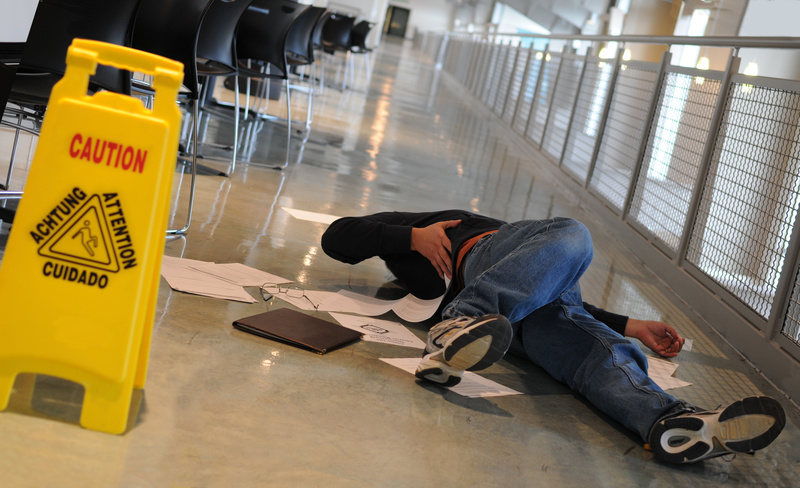 One of the most commonly reported decorating injuries involves slipping and falling. Don’t take shortcuts and make sure to use the right equipment when decorating. Check your ladder for broken steps and loose screws. Make sure to place ladders on a stable surface and ensure that they are free of any liquid, ice, or dirt that could make you fall. Consider ladder height and the weight of any objects you may be carrying. Loading yourself with heavy items as you try to climb a ladder up to the roof can cause serious bodily damage. Wear proper footwear that provides sufficient grip and always make sure shoelaces are securely tied. Make sure to keep high-traffic areas free of clutter that can cause falls. Also, be careful with rugs that can cause you to trip, and make sure to clean up any spills to avoid slips and injuries. Avoid drinking and decorating (or taking down decorations). Don’t let holiday travel dampen your holiday cheer. If possible, pack lightly. Over-stuffed suitcases can easily lead to back injuries, so consider using luggage with wheels. If flying, pay extra attention when storing bags in overhead compartments. You can hurt your back trying to lift luggage up or accidentally drop them onto someone when bringing them down. Use your legs to provide support and make sure to push the item in wheels-first. If using a backpack, make sure to utilize both shoulder straps. Uneven weight on your shoulders can cause a strain. If you are using a duffel bag, consider carrying the back alternately on both shoulders. Do not allow young children to carve, cut, or chop. Place your free hand on the opposite side of which you are carving. Make sure your cutting utensil is properly sharpened. Putting too much force because of a dull blade can cause an injury. Make sure your cutting space and utensils are dry to prevent slipping and accidental injury. An electrical shock is not the holiday surprise you need. Check lights and look for cracked cords, loose connections, damaged bulbs, bad sockets and throw away anything that appears in poor condition. Don’t over do it. Electrical sockets are only made to handle a certain amount of wattage and pushing them beyond their limit can cause a fire. Use holiday decorations that have been tested for safety. LED lights are a great option according to the U.S. Department of Energy. Only use hanging lights labeled “exterior use” for outside. Make sure to turn off your Christmas lights when you leave the house or fall asleep. Leaving them on not only increases your electric bill, but it can also be a safety hazard. The attorneys at Millin & Millin want to remind you to have a safe holiday season. This time of year can be especially hectic with huge to-do-lists that cause safety measures to be overlooked, and even then, sometimes the safest families have accidents. If you are having to file an insurance claim, it’s likely due to the fact that you just suffered a terrible accident. Having to deal with the bad faith tactics of an insurance company is the last thing you need on your plate during this time. Depend on the responsiveness of the Millin & Millin legal team to get your rightful compensation from deceitful insurers. Contact us at (956) 631-5600 to get help from the premier bad faith insurance lawyers of the McAllen metro and Rio Grande Valley.